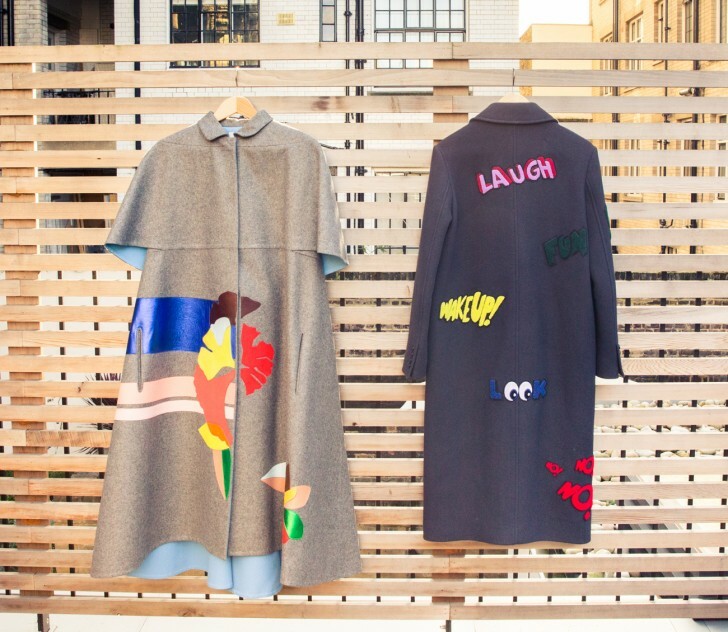 Maybe her designs—cartoonish, bright, incomplete without some sort of insignia intended to put a smile on your face (Beyoncé's a fan, in case you needed further proof to get on obsessively stalking her line)—should have been enough to tip us off. 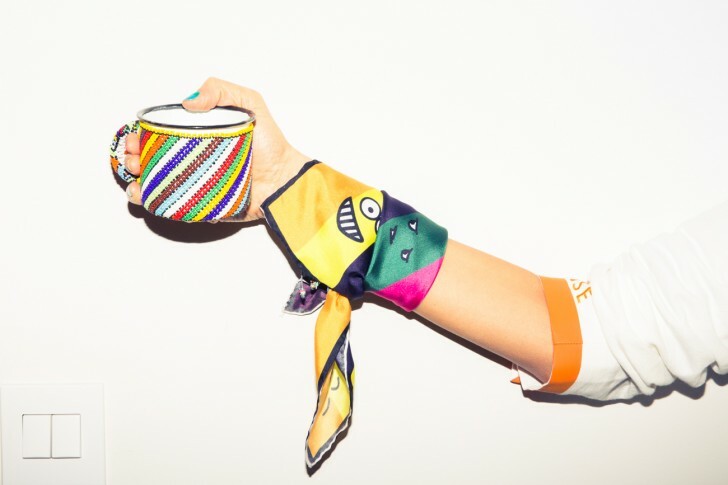 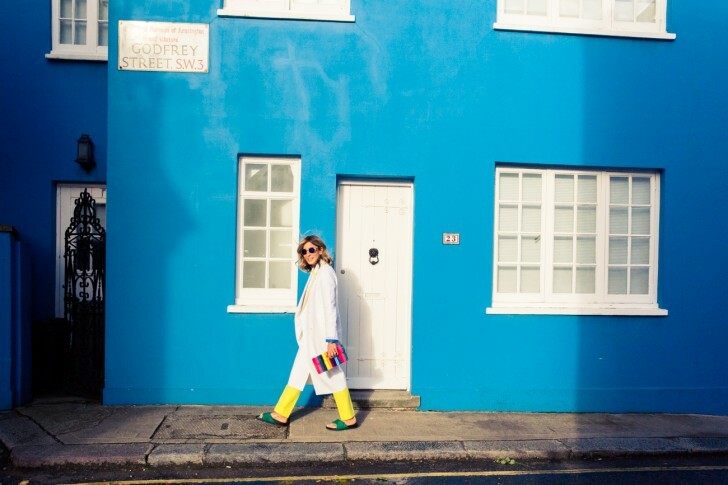 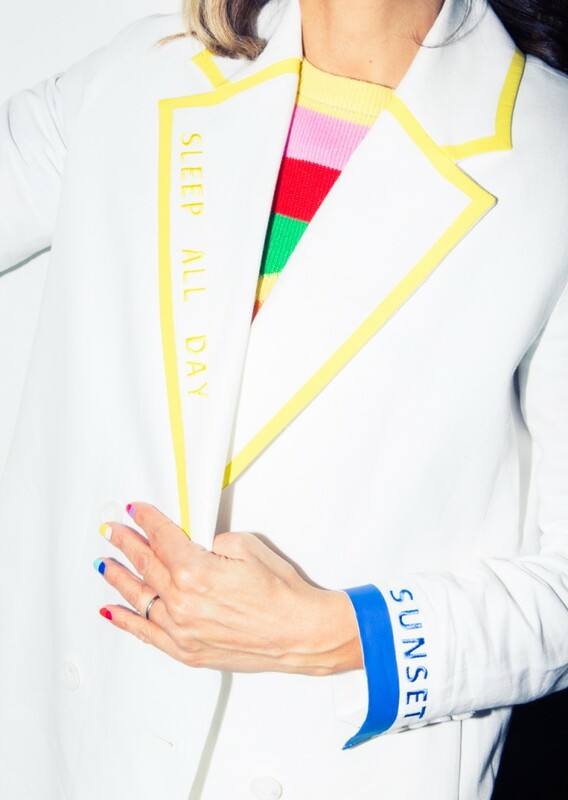 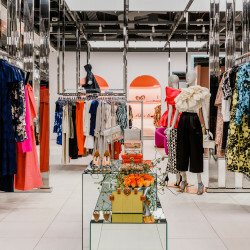 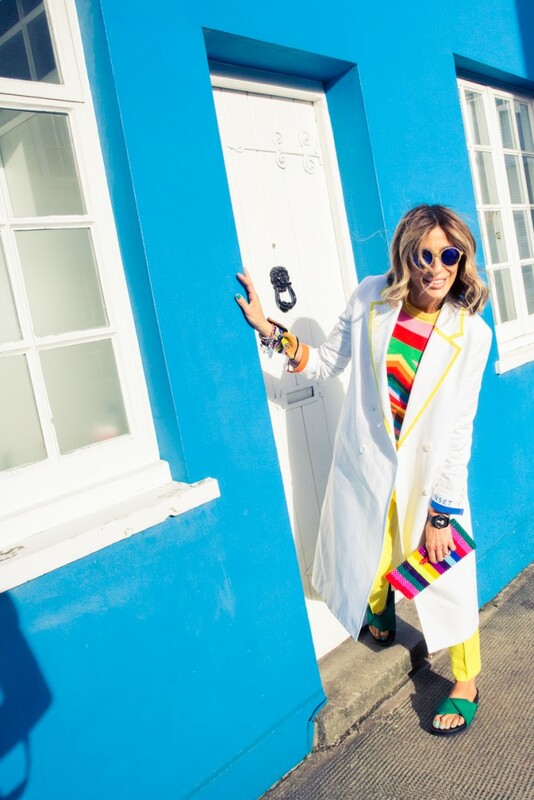 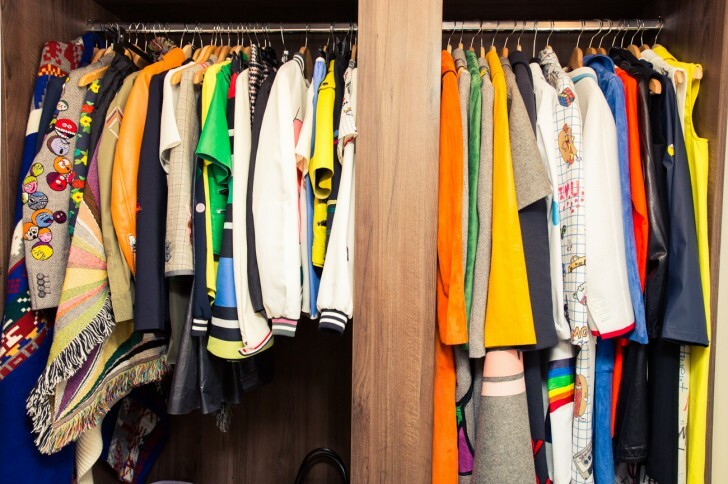 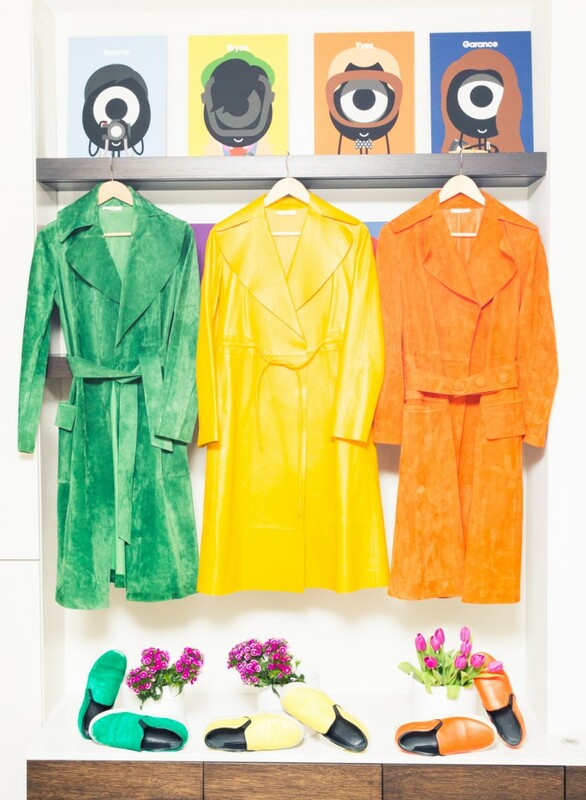 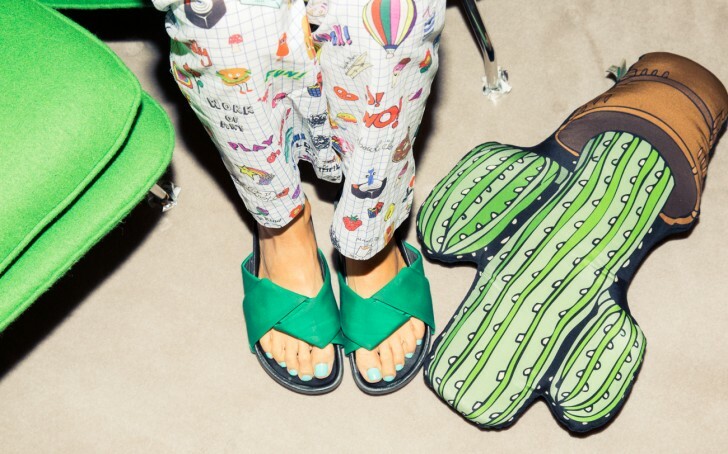 But when we walked into designer Mira Mikati's townhouse, we can honestly say we weren't expecting the all ROYGBIV everything, all the time situation that was waiting for us. 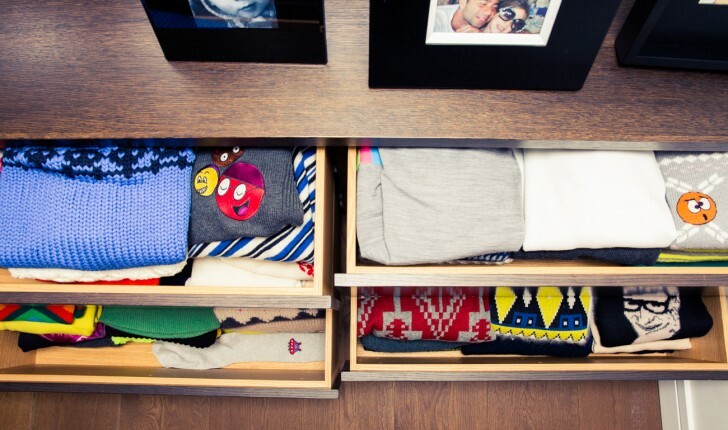 Our first peek inside Mikati's closet revealed just that. 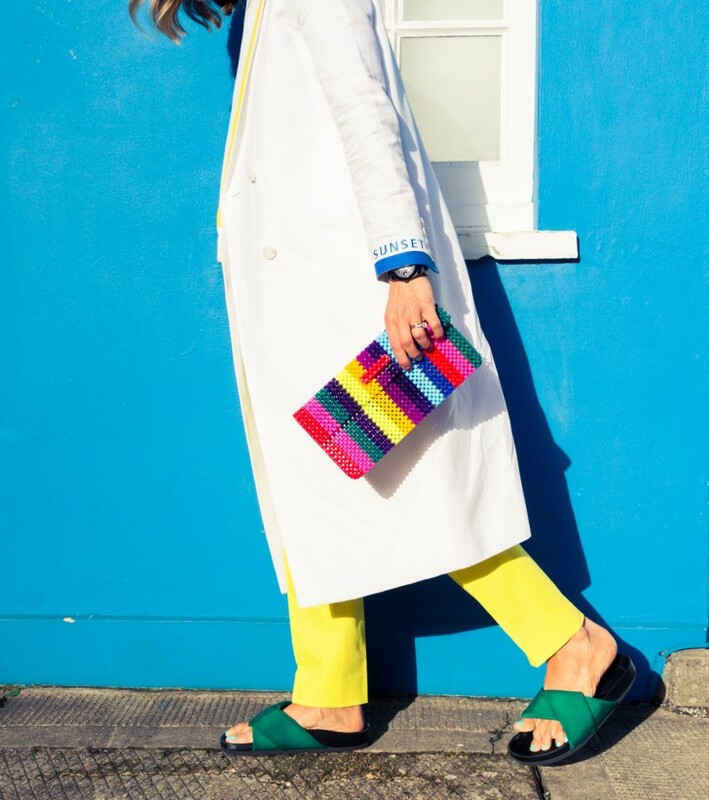 If anything, you can't exactly accuse the designer (and mother of 3) of needing to wear more color: the brightest shades of sunshine yellow, emerald green, cobalt blue and tangerine called out to us (including, count 'em, four matching sets of suede trench coats and slip-on sneakers, all Céline) from her closet. 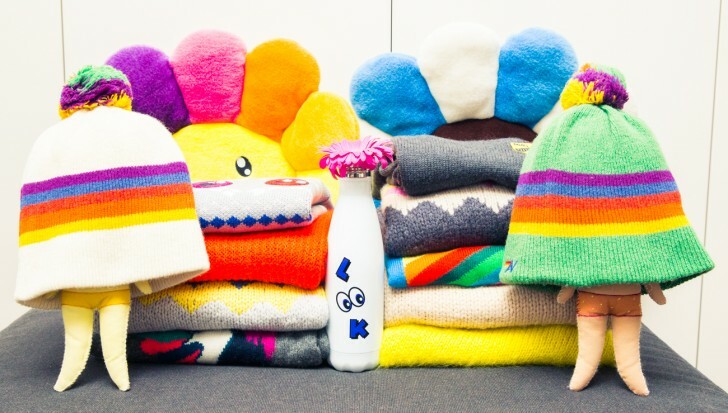 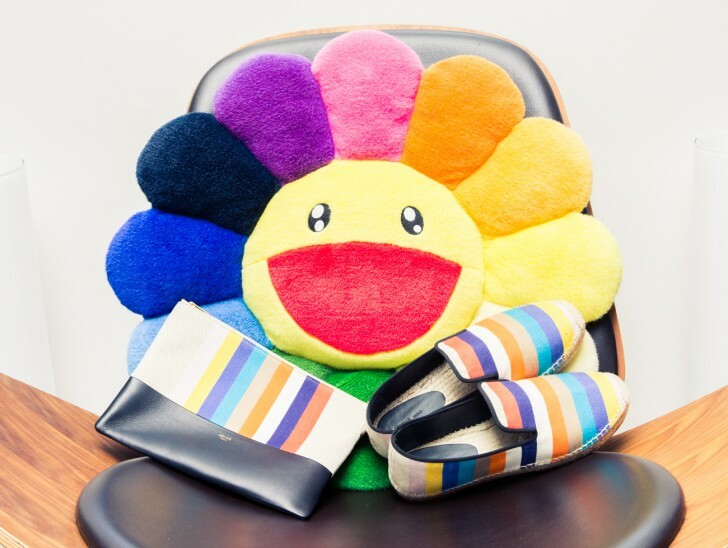 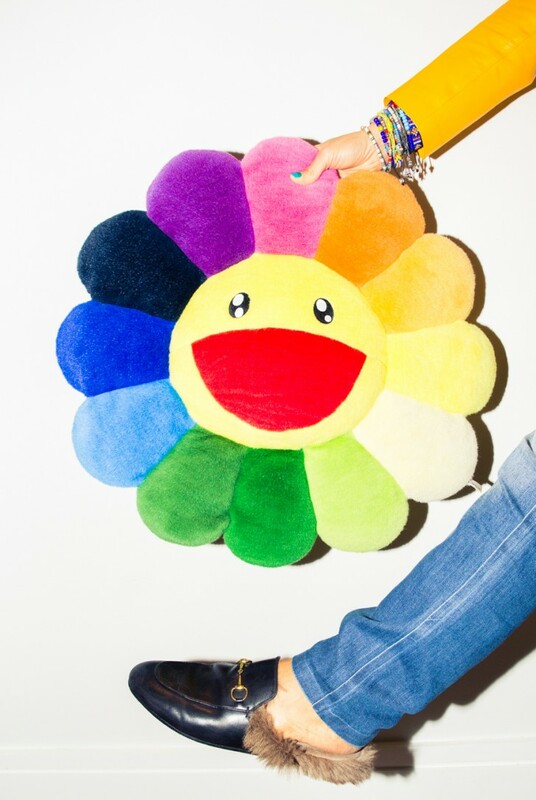 Her home was dotted with Takashi Murakami mementos and Darcel Disappoints (a.k.a. 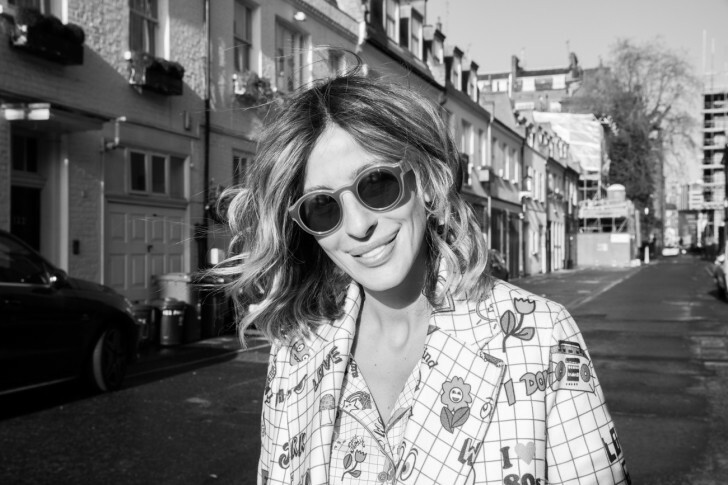 Craig Redman) prints with the faces of pretty much every fashion industry personality ever. 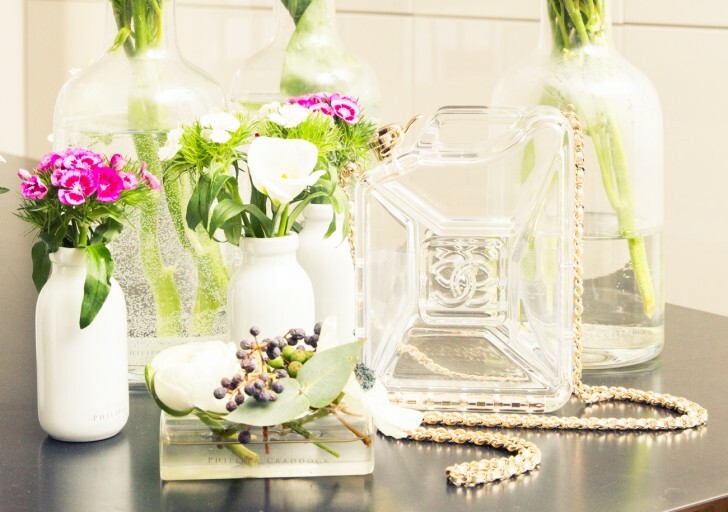 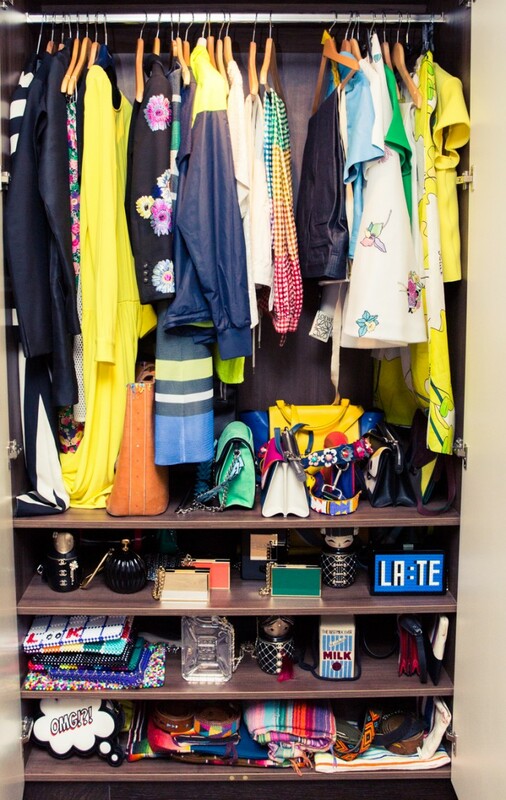 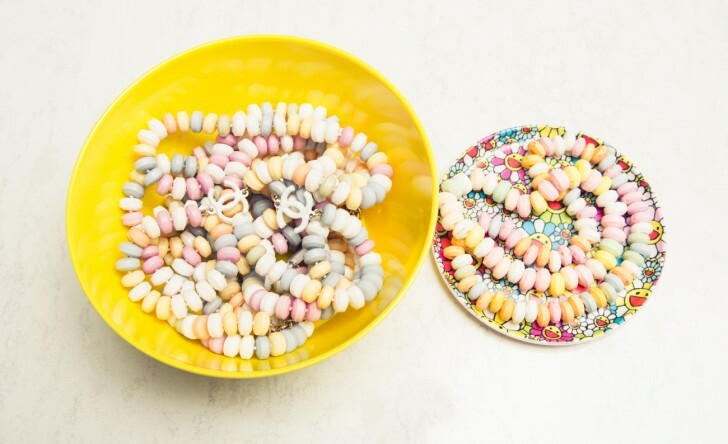 Virtually every item in her closet veered into the whimsical, especially when it came to the pieces emblazoned with double Cs—namely, her set of Matryoshka doll and perspex gasoline can clutches and candy bracelets and necklaces. 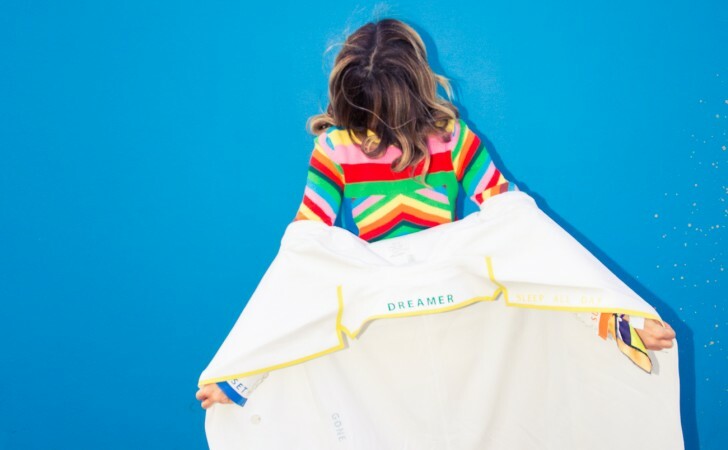 After sharing with us her latest scores from Fendi and Loewe, true to form, Mikati was game for just about anything when it came to her portraits, including getting all cozy in her namesake pajamas (in collaboration with Shopbop) and cuddling up in her kids' bunk beds. 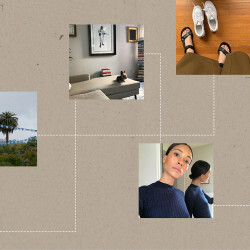 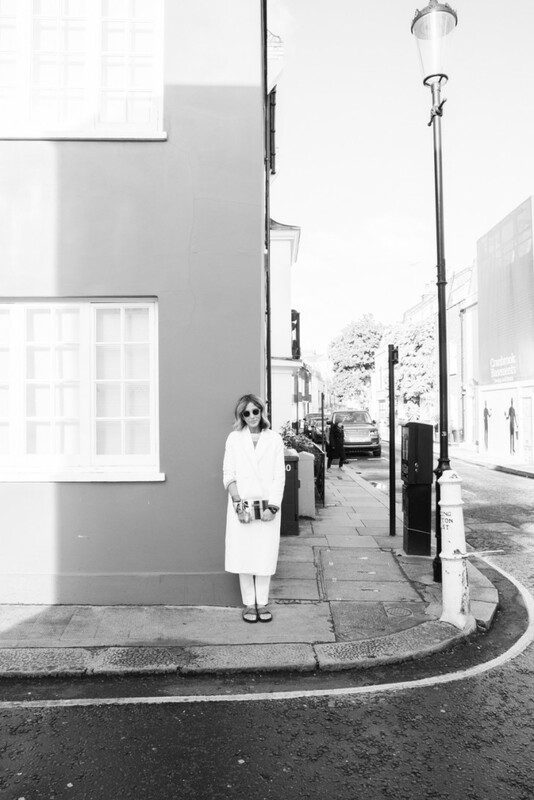 She gave us a little tour of her Chelsea 'hood, too, all in the name of seeking out what might go down as the most 'gram-friendly wall of all time. 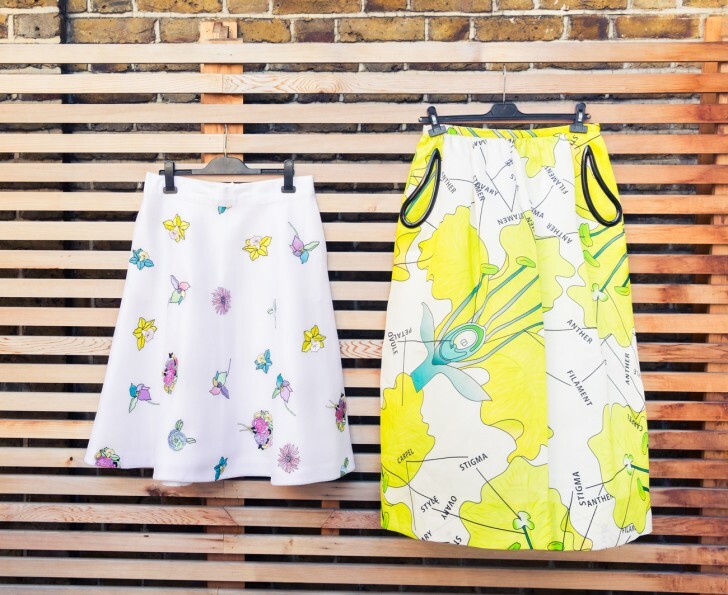 Between that, and her signature illustrated toppers, she might be about the furthest thing from a minimalist possible. 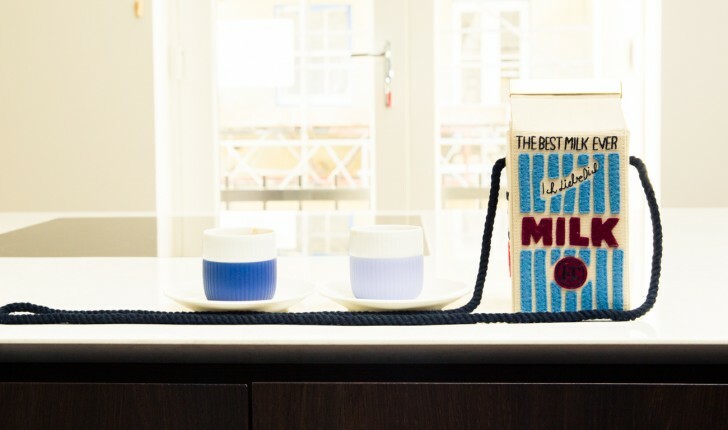 In the very best way, of course.